Evan Williams and Biz Stone, perhaps better known as @ev and @biz, have launched two new websites that nestle nicely alongside Twitter in their burgeoning publishing empire. The two sites, Medium and Branch, don't step on Twitter's toes, although they do integrate with the brevity-favouring network quite nicely. Medium is a kind of high-brow Pinterest, allowing users to curate and cultivate collections of images, quotes and other interesting titbits. You sign in with Twitter and can contribute to public collections and vote on pieces that you particularly like. 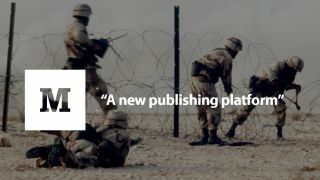 Williams describes it as "a new publishing platform" because "we haven't even scratched the surface of what our smart devices and our networks that connect most of the planet might enable". It's a bit like a simplified Blogger, another of the two serial site-launchers' creations, although it feels a bit complicated from the outside looking in – it's launched in invite-only beta so you can't have a proper dig around just yet. Branch, meanwhile, gives Twitter users a place to continue the conversation – there's no 140 character limit here, so your many and varied thoughts can be longer and more indepth. Conversationalists are invited to join specific discussions, while others can listen and lurk then pass other peoples' opinions off as their own later. Both sites adhere to the Twitter ethos of simplicity and short, abstractly descriptive brand names. All Twitter users can have a poke around on both Branch and Medium, but only invitees are able to make full use of the sites for now – there's no word on exactly when they'll be open to the public.